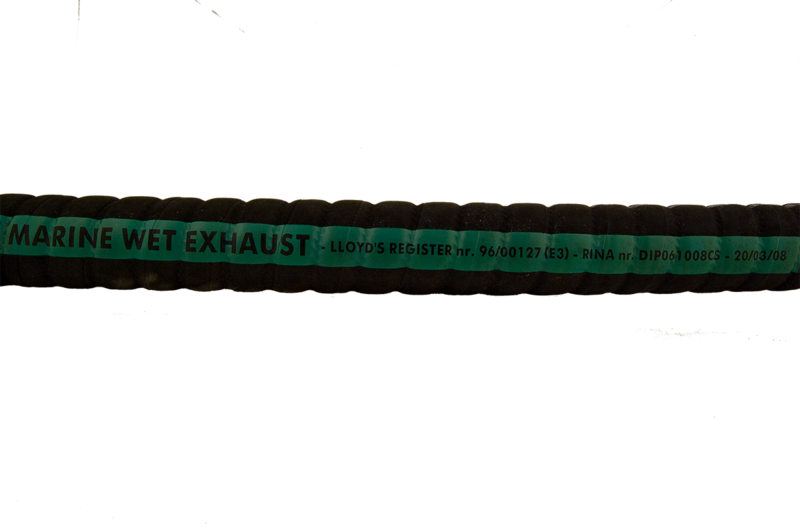 Lloyds Approved Hose for inboard water-cooled marine diesel exhaust applications in craft up to 24 metres long. This very flexible, robust and high quality hose has Lloyds and Rina Approval. Its construction using top quality material gives it superiority in its application within engine compartments of fishing boats, work boats, pleasure craft etc. A very tight bend radius capability aids compact installations and using good quality clamps dispenses with the need to cuff the hoses, thus avoiding damage to the hose end. It is also an ideal fuel hose that can be used with total confidence in marine generator applications. Can also be used for oil suction and delivery. Select... 3/4" 1" 1 1/4" 1 3/8" 1 1/2" 1 5/8" 1 3/4" 2" 2 104" 2 3/8" 2 1/2" 2 3/4" 3" 3 1/2" 4" 5" 6"